Raskulls has all the makings of the perfect party game with only one trapping of a bad one, but man do those positives speak loudly. In Raskulls, players compete in a series of different races as charmingly strange raskull characters traversing a 2D world filled with color blocks and item boxes. At its core, Raskulls is a racing game which is not a very difficult concept to understand. 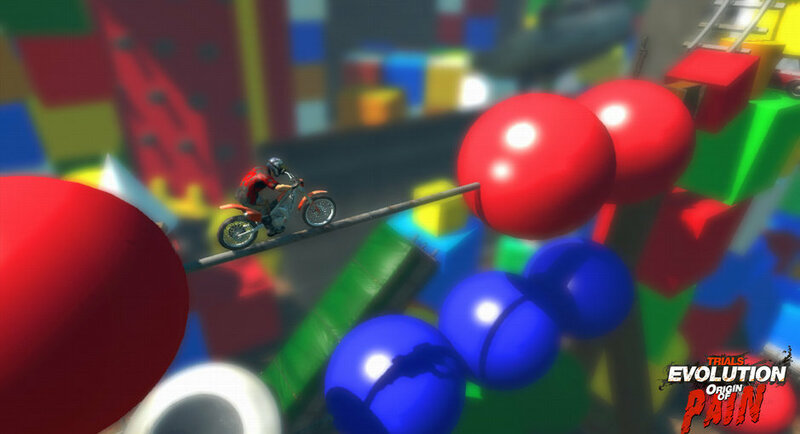 Stacked on top of the racing are minor puzzle and platforming elements which never become cumbersome enough to slow down its fast and frenetic gameplay, but keep each race from being a straight shot to the finish. Item boxes with a nifty (though not entirely inventive) selection of powerups as well as a boost mechanic round out the list of features in this game, all of which add up to a solid, enjoyable, four player competitive game. Racing is all good competitive fun, but some people are just way too good at it. Much like fighting games, it’s very difficult to defeat someone that’s very good at racing games without actually being very good at racing games as well. 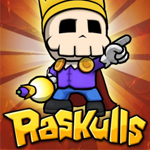 Raskulls doesn’t take enough advantage of all of its charm and interesting game modes featured in the single player, and the races can only be done in one-offs or in sets of four with no ability to randomize anything about each set. Raskulls is a great game to pull out early because it is fun, it’s easy to pick up, and those who enjoy it will want to play again so they can master the art of navigating this zany action-platformer. Competing with friends is always good fun, especially when the suckiest person ends up winning a bunch somehow, and it turns into an inside joke later and sets the pace for that person’s life for years to come. However, when that doesn’t happen and isn’t going to, sometimes it’s ideal to play a cooperative game, especially when playing with people with whom friendship has been enjoyable and shouldn’t be compromised in any way. In comes Castle Crashers, the premier cooperative game on this list of party games. Everyone and their grandmother has played this game and if they haven’t well clearly they’re not part of everyone or everyone’s grandmother and should consider joining that rather large club. 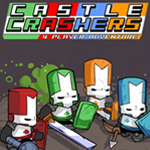 For those outside the know, Castle Crashers is a brawler with all the makings of a great one (including light AND heavy attacks), with just enough RPG elements to keep people connected to their characters. Party goers new to the game will want to continue the game from beginning to end just to see the zany story and enjoy all the new environments and witness The Behemoth’s overwhelming sense of style exhibited in this game. Amazing as this game is, it’s important to be cautious when introducing this game to a party. As stated earlier, many gamers and non-gamers alike (eg. grandmothers) have played this game, many to the extent of being rather done with it. Consequently, it’s wise to poll the room before pulling this one out. New players are likely to love it, and even some veterans will gladly guide newcomers through the world of Castle Crashers, but some people won’t want to play another minute of it. 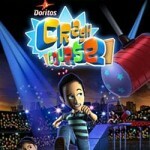 Doritos Crash Course? Is it a game about chips? No, silly, though it is free, and that’s pretty fantastic. Those who have completed this game are probably making some sort of unbearable and frankly unattractive face right now and thinking we’re crazy, but wait! We’re not! We promise (kind of). This game is one of the best games of all time for the sheer fact that it’s the most delicious game to watch others play. Schadenfreude (experiencing joy at the failure of others) is very much a real thing, and anyone playing games at a party has it, especially if they want to play games and aren’t because it’s not their turn. Every slip, every fall, every plushy hammer smash will be the most hilarious thing that’s ever happened to that one guy from the bar, and the in-laws being perplexed by the simple idea of combining a conveyor belt and a constant stream of water balloons (that ignore gravity) will be the most enjoyable thing ever. Playing the game itself can be a bit of a chore, but it’s impossible to not want to prove it’s doable. Someone will say it’s impossible, the host will say it’s not, then that dude over there will be like “I got this!” and then his girlfriend will be like “You really are terrible at these sorts of games” and then her sister will be like “Yeah I finished this course three minutes ago” and how is that not awesome party time talk? We strongly recommend breaking this game out at some point if only for the laughs because, like it or not, it’s hilarious to watch people fail at something over and over. Just not forever. It’s important to know when to stop. For instance, controllers through the TV is a good indication of when to move on. Explosions, powerups, tons of game modes, tons of maps, full control over each match and tight, accessible gameplay that also offers a lot of strategy, Bomberman has it all when it comes to splitscreen competition. Bomberman is very simple at its core: place bombs, destroy blocks, pick up power ups and use them to blow up other players. Pretty straightforward, right? This game is super quick to explain because it’s so base- blow up your friends, who has to tell anybody to do that? Nobody. Everyone wants to blow up their friends. A good party game has to give players a lot of control over what they’re getting into so they’re not stuck playing something they don’t want to, and Bomberman‘s custom game options are rather thorough. Change the length, change the difficulty, change the complexity, there’s just so many options! Beyond that, if there are two Xbox 360s, they can be linked and then EIGHT people can play all at once, and yell at each other. They can be on teams, they can cooperate against the AI, they can play vanilla Bomberman or they can play the inventive bankroll mode (sort of like Bomberman meets Counter Strike) or a nifty take on the Capture the Flag formula. When players get bored, they can swap out and not have to worry about inversion or strange control mapping. The only thing that has to be explained is the powerups, and even then the more complex pieces of the game can be removed at the host’s whim! There are a million ways to compose a party, especially one with gaming, but when it comes to having just one Xbox 360 Bomberman Live is an absolute must. The game on the whole as a single player experience really isn’t worth much now since the online community has diminished, but when played with friends there’s no beating the pure simplicity of the mechanics and yet the depth of the competition and strategy. 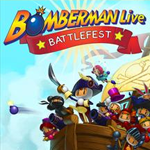 It should be noted that either Bomberman Live or Bomberman Live Battlefest are equally amazing party games, but Ihas more in it and should be purchased if neither are owned. However, Bomberman Live will suffice if someone already owns it. We’d also like to point out that any Worms game can be a great party game, but only in very specific audiences, which is why it did not make this top five list. 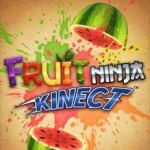 It takes too long to explain and to play in general, but in certain crowds (strategy gamers, or those with patience in general) it’s great and would easily be in the top five of XBLA games they’d enjoy for parties. Let us know in the comments if there are any other games that would be great for parties that we might have missed, or games that have done well at parties you’ve participated in!